recap | Have YOU Ben Starr Struck? It’s group challenge time, and the contestants are introduced to Aaron, a “flavor scientist” and his foodie fiancee Anya, who are to be married the next day, and who have agreed to allow the MasterChef contestants to cater their reception. I’m really interested in how Aaron and Anya got hooked up with MasterChef. Perhaps a casting call went out in the LA area looking for pending weddings of people who were willing to turn over their big day to a bunch of home cooks and a VAST film crew, in exchange for free catering? While that would certainly free up one of the most expensive parts of a wedding budget, you gotta wonder what type of people would allow that to happen. Even the RATIONAL people I know become completely and utterly bonkers when it comes to their weddings. (I’m guessing they are friends of the production company.) Luckily, their contract with the show specifies that Graham Elliot, the country’s youngest Michelin starred chef, will be offering an appetizer, and Gordon Ramsay will be making the dessert. And there are very few budgets that could afford such a splurge. So I’m guessing they don’t really care what the rest of the food is like…how many people can claim that Graham Elliot and Gordon Ramsay catered their wedding?!? This “foodie” Anya pulls out a list of everything she doesn’t like, and for a foodie, it’s a pretty long list. She demands a complete avoidance of peanuts, beets, radishes, celery root, fennel, Indian food, bell peppers, dill, cilantro, olives…and that’s only just the beginning. “Guess we’re gonna be making lettuce wraps and water for this wedding,” says Eddie. James, having won the crab challenge, gets to pick first, and his choice is…of course…Lynn. Lynn is always picked first, and while we’ve been seeing a little more of him the past few episodes (thank you, producers! ), we still don’t know enough about this handsome, strapping man with the rich voice who churns out plates that look like they just came out the serving window from Noma…the “world’s best restaurant.” The team is rounded out with Jessie, Jonny, Bri, and Luca. Natasha says she needs a co-captain and chooses Eddie first. Her team is completed with Jordan, Bethy, Savannah, and Krissi. Of course, this season the producers LOVE psychology games and delight in excusing people from having to cook in this COOKING COMPETITION, so each team leader gets to pick one person to “sit out” the challenge. Natasha bumps Krissi and James bumps Bri…a VERY strange choice, since Bri is the only vegetarian and would give his team a competitive advantage over those 15 votes from the veggie diners. The contestants then get a peek at the courses that Graham and Gordon have created, so they can appropriately plan their entrees. Graham has a VERY Graham dish…a chilled soup of spring pea “essence” with whipped creme fraiche, pink peppercorn, and lavender “infusion” with edible flowers. For those of you not familiar with Graham’s cooking style, while he MAY look like the kinda guy that makes epic food truck and diner-style food (I would imagine a Kobe burger with dry-cured bacon and foie gras, with grilled gruyere sandwiches instead of buns)…he is actually famous for VERY whimsical, delicate presentations of Modernist cuisine, and this soup just looks EXACTLY like Graham on a plate. (For those who aren’t that familiar with creme fraiche, it’s a tangy French condiment made from heavy cream that’s been cultured, like yogurt or buttermilk, and since it’s cream, it whips up just like whipping cream, so next time you need to serve whipped cream on something, try whipping creme fraiche instead!) Gordon is serving a signature dessert of his…sticky toffee pudding with “brown bread ice cream” and caramel sauce. Brown bread ice cream hails from the UK (Ireland, in particular), where bits of crusty brown bread are churned into a vanilla ice cream. Gordon’s doesn’t appear to have any bread crumbs in it (and that texture is what makes brown bread ice cream really shine), so he has probably just steeped the bread in the custard base and strained it out. The contestants have 2 hours to conceive and cook the 100 entrees. James’s Blue Team is going with a rack of lamb with parsnip puree. This is a really smart choice. Lamb is considered a very elegant protein in this country (whereas it’s more akin to “chicken” everywhere else in the world) and I LOVE lamb with parsnips. (Not a very summery entree, though.) And for the vegetarians, they’ll serve grilled mushrooms over goat cheese creme fraiche. Natasha’s team is trying to convince her to do short ribs, and if I were Natasha, I’d be resisting that, too. She’s pushing for halibut with miso beurre blanc and baby carrots, and eventually mandates that choice. I personally think that’s a far wiser choice for a California summer wedding, sandwiched between courses by Gordon Ramsay and Graham Elliot. Don’t get me wrong…if I’m gonna eat beef, short rib is my favorite cut. It’s decadent. We serve it at FRANK all the time. But it’s rustic. And rich and heavy. And not elegant in the least. So I’m gonna go out on a limb and say she made the right choice. And for her veggie dish, her Red Team is doing a tomato and eggplant “stack”…probably something like a ratatouille. And while Joe and Gordon are busy causing the very delays that are keeping Blue Team from serving, while at the same time screaming at them for slow service, Graham steps in and actually performs the role of a judge, which is to help GUIDE them in the right direction. FANCY THAT!?! A judge providing constructive criticism and assistance, rather than just screaming bloody murder. Back on the MasterChef set, the Blue Team (minus Bri, of course, who doesn’t have to compete) spars with each other on the patio. The MasterChef studio is actually a grimy warehouse in Culver City (or at least it was when my season filmed) so I’m puzzled about the stunning view of green mountains behind the patio. Green screen? Or did the venue get moved to the Hollywood Hills? We didn’t have a patio during my season…it was added in season 3. Our “patio” was an old moldy tent with folding chairs that was freezing in the morning and at night, and broiling during the day. And we had to walk barefoot in the snow to get from the hotel to the set…uphill…both ways. You guys got it SO easy. Following this season’s baffling norm, not everyone will compete in the pressure test. Joe saves Jessie because she’s hot and blon…oh, sorry, because her performance warranted it. (That’s NOT a knock on you, Jessie, it’s a jab at Joe for oft being swayed by lovely ladies! On my season, Tracy Kontos could do no wrong in his eyes, and even when she literally burnt her fish, Joe gleefully reminisced about how it reminded him fondly of his grandmother’s fish because she always burnt it.) Graham saves Luca because he was being vocal about each plate not being perfect before it was sent out. And Gordon saves James, the team captain, for being totally engaged the entire time. So now we’ve got a weird one-on-one pressure test, similar to what happened after the second group challenge on my season when, after losing the biker-beach-BBQ-sausage-challenge, all my team’s contestants were excused from the pressure test except for Christine Corley and Max Kramer. (Though I believe that was a last-minute decision by the story producers because the two of them had been fighting that morning and Max told us that he had poisoned Christine and she was going to die. What fun! Let’s immediately pit the two of them against each other in a pressure test!) Please keep in mind if you go back and read ANY blog from my season, those blogs were censored and edited by MasterChef. Jonny announces his confidence in baking and has made macarons before, so I’m immediately predicting his elimination. That just seems to be how it works the majority of the time. I’m really grossed out by macarons so it’s hard for me to watch this challenge. The judges say that the most difficult part of this challenge is making sure that all 12 macarons fit inside the dainty little box. (Weird. Maybe portioning for packaging is super critical in a professional bakery, but why not focus on the FOOD rather than the packaging?) And in the process of closing his box, Jonny damages his macarons. Lynn’s macarons are tasty, according to Gordon, but Lynn has broken what is apparently the “golden rule of macarons” by putting fresh fruit inside. Tell that to Dean and Deluca, Gordon, who proudly serve fruit-filled macarons at all their locations and are happy to ship them around the world. I just scream at the TV any time any of the judges hand down these “golden rules” and “unbreakable laws” that are, in fact, complete and utter bullsh-t. Gordon’s beef with the raspberry seeds detracting from the texture of the macaron, however, is probably legit. Jonny’s macarons have “MAR-sca-pown” in them, and I’m about to tweet Gordon and ask him why he continues to permit contestants to mispronounce this Italian cheese. (I can’t do that with Joe because he pronounces espresso “expresso”…or at least he did last season.) This is the third time this season (at least) that I’ve blogged about this. And I hope it’s the last. Look at this word right now…every one of you. Where is the “R?” Before the “S?” No. The ONLY acceptable pronunciation for this Italian cream cheese is “mas-car-POWN-eh.” I think I’ll go stark raving mad if I hear it pronounced marscapown one more time, so please, each and everyone one of you solemnly swear to me that you’ll never mispronounce it again. Pronouncing it loudly and proudly when you’re called upon to say it. If people look at you funny, THEY are the idiots. Regardless of the mispronunciation, Jonny’s macarons are good…but there’s that little issue of the packaging. And inside the box, Jonny’s macarons are all destroyed from his forceful closing of the box after cramming too many inside. To be fair, sometimes the rules of challenges aren’t completely clear to a contestant, and Jonny probably thought the judges wouldn’t even taste his macarons if they weren’t all in the box. So Jonny’s macarons taste better than Lynn’s, but his are destroyed. The judges decide to send Jonny packing. This carpenter has produced some really stunning stuff so far this season, and I’m curious if he’ll return to his trade or jump the fence into the kitchen. Follow Jonny on Facebook and Twitter, and leave your comments on this episode below! It’s time for the first group challenge of the season, and I remember back to my own first group challenge…feeding the lunch rush in the cafeteria at the LA Times building in downtown LA. Hundreds and hundreds of people. None of us had ever cooked for that many people before. It seemed completely impossible, but somehow we pulled it off. The show opens with the contestants on a school bus headed to an elementary school, where they learn they have to cook a healthy AND delicious lunch for 301 kids, and the kids will be the judges. No small order. To round out her team, Jessie picks Bethy, Beth, Bime, Natasha, Bri, Luca, and Malcolm. Jordan’s first pick is Savannah, because she’s a school teacher and understands kids, and goes on to select James, Eddie, Jonny, Krissi, Adriana, Howard, and Kathy. Menus must be selected, and Jessie’s Red Team decides on teriyaki chicken, corn, and a strawberry crumble, while Jordan’s Blue Team will make spaghetti and meatballs, green beans, and apple crisp. I’m having some horrible flashbacks to my own reality TV battles, cooking for kids. The first was on Rachael Ray’s “So You Think You Can Cook?” back in 2007. We were down to the top 3, and were taken to an elementary school to cook the lunch rush for 4th graders. Officially, the kids were deciding the winner, but the school’s dietician also had some sway. The protein I was assigned was tilapia, and the vegetables I had to use were zucchini and potato. I did crunchy fish stix…breading the tilapia in whole wheat cracker crumbs, oven “fries,” and I turned the zucchini into cupcakes with strawberry frosting. (A stroke of genius, if I do say so, myself!) I was up against spaghetti with turkey meatballs, and chicken strips, so naturally I had the hardest sell. The kids didn’t vote in as transparent a way as they do on MasterChef, where you can SEE how they are voting. They filled out secret ballots which were tabulated by the producers, so WHO KNOWS what the real results were. But I was axed. I gotta admit, Jordan’s team has the upper hand, at least in terms of the protein. If they can pull off meatballs for 301 kids, they’ll easily win. But that’s a LOTTA meatballs, and I immediately wondered how they’re gonna hand-roll 600 meatballs in an hour and 45 minutes. At 15 seconds per meatball (a VERY fast pace), that’s 150 minutes of meatball rolling, and even if he devotes 6 of his 9 team members to that, that’s half an hour just to get the meatballs formed. Then you gotta cook ’em, and that’s a LOT of meatballs to cook all the way through on the flat top. Literally impossible. The cooking begins, and both teams immediately have trouble. Jordan’s team is discovering what I feared…there’s just not enough time to prep so many meatballs. Jessie’s team has all their chicken crammed onto one of their two flat tops, and all the liquid cooking out is boiling the chicken, rather than searing it. (Commercially produced chicken is “enhanced” with a “broth” of delicious sodium phosphate, generally up to 15% of its own weight, so when you cook it, that nasty stuff comes out in the pan.) Jessie’s team is also having trouble getting their teriyaki “gravy” just right. While the contestants are fixing their dishes, Gordon goes to hang out with the kids. This may be the ONLY time the audience gets a true glimpse of what Gordon Ramsay is like when there aren’t any cameras around. He becomes the big, fun, happy teddy bear that he truly is. I love seeing Gordon interacting with kids. He also learns an interesting lesson…kids don’t know what chicken teriyaki is, apparently. Time is called and an ocean of screaming children are headed in a massive wave toward the contestants’ tables. James remarks, “This is my nightmare. This is the day I die.” I know how he feels. Jessie’s Red Team is having trouble keeping up, and some plates are not getting filled, which will probably mean automatic votes for Jordan’s Blue Team, which appear to be filling ALL the plates. (That could be preferential editing, of course.) The judges prefer the Red Team’s menu, but the editing is indicating that the kids prefer the Blue Team. However, when it’s time to vote, it’s clearly the Red Team that wins. I’m always intrigued by this method of kids’ voting. When the kids run toward which team they like, the producers have absolutely NO control over the judging. In most other group judging scenarios, they can retain control over results, but not when the kids run to their favorite team. It must be a scary thing for them to NOT have control over the results, when they normally have careful control over them. So Jordan’s Blue Team is headed to a pressure test, and Krissi is PISSED and naturally blames Jordan. It’s always easiest to blame the leader. Back in the MC kitchen, the judges reveal that only 6 of the 9 team members will participate in the pressure test, and Jordan gets to choose which 3 to save. He picks Howard and James, and then Joe announces that he can choose to save himself, if he wants. Jordan saves himself, naturally. I wonder how many of his teammates would have made that same choice? What would YOU have done? As I’ve mentioned before, I’d pick whoever I thought would be MOST challenged by the pressure test, to give them the best chance of staying. When my team lost the Hollywood Cocktail Party challenge, I could tell, based on the ingredients out in the kitchen, that the pressure test would be baking, so I asked my team who was least comfortable with baking, in order to decide who to save. Personally, I can’t ever imagine saving myself above my teammates…I wouldn’t be able to sleep at night. That’s not because I’m a good person. It’s because I’m a spineless coward and I’d be terrified to face them the next day knowing I had saved myself. My best friend J-P loves to debate this issue with me. He considers anyone who WOULDN’T save themselves as weak and foolish. He believes it’s a competition, and you do whatever it takes to win. To me, “winning” doesn’t necessarily mean getting the trophy. It means acting with integrity, doing your best to help everyone, doing no harm to anyone, and performing to the top of your ability. I guess therein lies the difference. Krissi has some choice words for Jordan when he heads upstairs. “Captain goes down with the ship,” she finishes. I wonder if she would have saved herself if she was in the same position. My gut tells me no. I think she’s too stubborn to take the easy pass, and would stay and cook to prove a point. I like Krissi. I know some of you are turned off by her crassness. But to me, she comes across as being VERY genuine…very real. What you see is what you get. She’s not keeping any secrets. She’s not humoring anyone. She grew up in a rough part of town, she struggles as a single mom every day, and she don’t take sh-t from no one. I think her “rudeness” is more jokey than real, like Christian from my season. Half the stuff he said that was edited as rude insults were actually jokes, pulled out of context. So the pressure test is a cheesecake challenge. I don’t know what it is about MasterChef pressure tests, but they are ALWAYS made for me. If there was ever a show that was ONLY MasterChef pressure tests, I’d totally do it. My best performances on MasterChef were always the pressure tests. And this one would have been no different…except for one small thing. You can’t bake a cheesecake in 90 minutes. You can’t. It’s impossible. Don’t ever try it. If you see a cheesecake recipe that says it can be accomplished in 90 minutes, look for a different one. YOU CAN’T BAKE A GOOD CHEESECAKE IN 90 MINUTES. Period. Are you getting that you can’t make cheesecake in 90 minutes? It’s not possible. At least not possible to make a PROPER cheesecake. Commercial bakeries and the Cheesecake Factory add synthetic binders, like guar gum and xanthan gum, to their cheesecake batter to allow them to bake them more rapidly but still hold together. The MasterChef contestants are baking thinner cheesecakes, but I can guarantee you the texture won’t be right. I’m not sure what pantry options were available, but I’d probably make my legendary pumpkin cranberry swirl cheesecake, or perhaps my chocolate espresso cheesecake. I’ve never been wild about fresh fruit cheesecakes, for some reason. Jonny is next, with his pineapple “Foster” cheesecake. I’m not entirely sure what he means by that, probably he flambeed the pineapple in rum or cognac, the way “Bananas Foster” is prepared, but the “Foster” in that title doesn’t refer to the preparation, it refers to the dude the dessert was named after. Joe says his cheesecake is like a “lumberjack trying to do a pirouette” and is confused by the excess crust, and the pineapple, which has a “fibrous” texture that is detracting from the delicacy that a proper cheesecake should have. Eddie presents his vanilla bean cheesecake with mixed berry compote, and he forgot to strain his berries after he cooked them, so the juice has drenched the cheesecake filling. Still, the flavors are excellent, so he’s safe. Savannah has a salted caramel cheesecake with hazelnut almond brittle and honey whipped cream. Wow, Savannah! Sounds amazing. Unfortunately, her crust is too thick and the topping is too sweet, which she admits after tasting it. Bravo for your honesty, girl. Nevertheless, they axe Adriana. Man…my favorites are not being treated kindly by the judges. I’ll try to stop having favorites from now on, it’s apparently a curse. Adriana Guillen, you were a breath of fresh air. And I know a LOT of folks who would love to meet you and cook with you. I hope our paths cross someday. Bookmark Adriana’s lovely website, where she has some amazing Mexican recipes which are primarily vegetarian. Like her Facebook page, follow her on Twitter, and send her a message to wish her all the best! And comment below about what YOU thought about this episode! Now it’s time for the third and final round of signature dish challenges, and since we’ve only seen a handful of folks, I expected this episode to be crammed full of hopefuls vying for an apron. Next up is Jonny Blanchard, a 28yo carpenter from Mass. Jonny is doing something VERY dangerous…making a wacked-out dish the judges have never even dreamed of: lobster cracker jacks. Yes…that’s right. Caramel corn with lobster and coconut. The priceless look on Gordon and Graham’s faces after they taste it says it all. It’s genius and it works. That look can’t be faked, it is totally genuine. I had that look the first time I was served lobster and vanilla by a 12-year old chef in Austin named Maggie. Maggie is one of the most extraordinary humans I’ve ever met…outside of excelling in school, she raises money for children’s charities around the globe, constantly experiments with new techniques and ingredients in her home kitchen, and is fondly recognized by all of Austin’s top chefs when she saunters through the door of their restaurants as if she was born in a restaurant kitchen. Click HERE to read about my eye-opening experience meeting this future-game-changer of the culinary world. But back to Jonny, he knows his dish is good, and seeing those “light bulb just turned on” looks on Gordon and Graham’s faces must have been exhilarating for him. To be honest, it sounds like the kind of dish Graham would serve in his namesake restaurant, and the idea that you might inspire a chef like Graham Elliot to new creative heights is just absolutely MASSIVE. Massive like the joke Graham pulls when Jonny says to him, “You’re much smaller than I thought you would be,” and Graham says, “Yeah, the camera adds about 180 pounds.” It’s not surprising to us that Jonny gets 3 thumbs up and is the final contestant to win an apron. But…wait…there are still probably 50 folks we haven’t even seen?!? Of course, there’s no time to show 100 contestants being judged on their signature dishes. (Knock, knock, MasterChef…let’s start with 30! Then we’ve got less lives shattered, less expense and logistics on your end, and the audience can see everyone.) It’s just heartbreaking for folks to spend 6 months of their life doing NOTHING but the MasterChef audition and filming process, exciting and stressing out their family, potentially losing them a job, causing them to invest no small amount of money in the effort to portray themselves as a good candidate (and travel to the audition site, and travel to the medical and psychological evaluation site, etc. ), to not even appear in the final product. Case in point: Jenn Thomas. 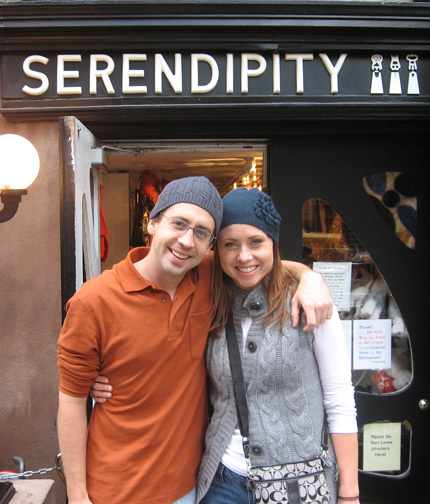 I met Jenn on the set of Rachael Ray’s “Hey Can You Cook” in 2007. We were 2 of 5 contestants, all very naive about the “realness” of reality TV, chauffeured in a stretch limo to the chef’s table at The View on Times Square, where we sat down to dinner with Rachael Ray…all very bewildered, confused, and feeling like rockstars. Jenn beat the pants off us all and took the title. America fell in love with her and her story. 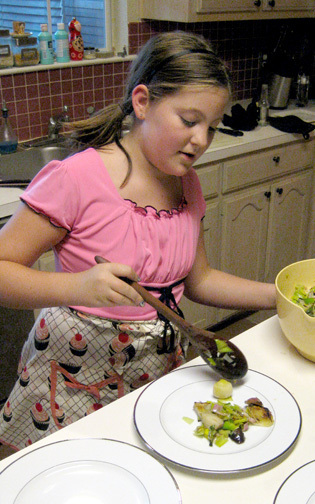 How she had overcome an eating disorder by changing her relationship with food through cooking. How she loves to help busy families learn to cook delicious, healthy, inexpensive meals quickly and easily at home, rather than resorting to fast food. She has become a well known food personality in the Ohio scene, and is buddies with the likes of Michael Symon. And this year, when she was going through a rough patch in her life, I suggested that she audition for MasterChef. I knew she would get cast. She’s a perfect MasterChef candidate. Attractive, great story, bubbly personality…and she can cook. She got cast. She even got an apron! But her presence on the show extended to a half second shot of her with her game-face on before the lamb challenge in the last half of this episode. All this is to say that many, many lives were turned upside down in the 6-month process of casting and filming the 100-odd minutes that just flashed before our eyes. And we didn’t even see half of those folks. So bear the gravity of this in mind when you watch future episodes of MasterChef. And check out my blog that further explores this phenomenon HERE. Now it’s time to narrow the crowd, and normally that happens in its own 2-part episode that begins with a knife skills challenge, and completes with a cooking challenge. But the last 2 seasons have been different, with MasterChef doing a very odd mass-elimination based on a single cooking challenge with little or no tasting. The feature protein in this challenge is lamb, and we see Gordon picking up a little, bleating lamb, which instantly wins the hearts of us all. 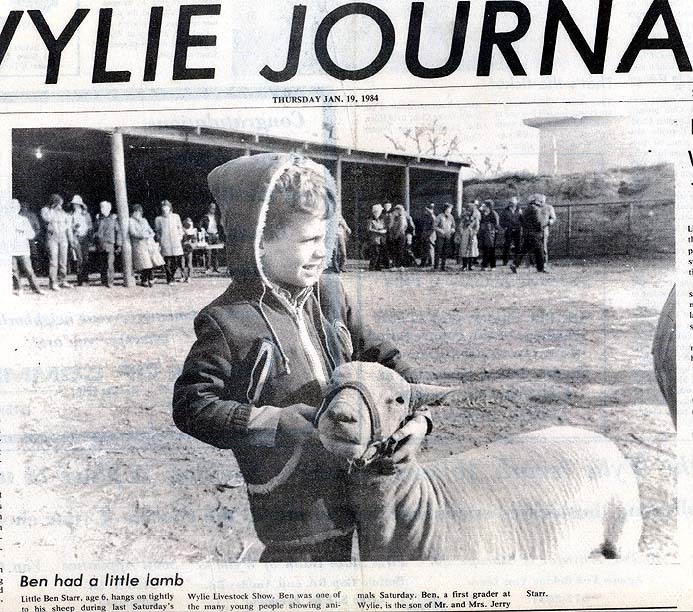 I grew up raising sheep. (And it follows naturally that I grew up eating lamb.) This protein is still considered a rare indulgence in the US due to its expense and relative rarity, but in countries like Australia, New Zealand, the UK, and throughout South America, Africa, and the Middle East, lamb is like chicken. An everyday meat. Lamb has a very distinctive flavor, and it’s one of my favorite meats to work with. The warehouse door opens, and an OCEAN of sheep floods the studio, stepping and pooping on the contestants’ feet, and bewildering most of them. (I would have turned into a laughing, gleeful 6 year old had I been there, and hugged most of the bleaters.) I’m sure many of the contestants were instantly terrified, wondering if they would have to do the butchering. (Remember darling Suzy Singh on season 2 saying, “I hope we get to butcher a chicken on national television!”) That won’t ever happen on a major TV show in this country, due to our disturbing distance from the food chain, which makes me a little sad. But the contestants don’t have to worry…the slaughtering and breaking down has already been done for them, and virtually EVERY part of the lamb is available for their use in the pantry. That is truly a dream! They have an hour to produce a “stunning” lamb dish, and as quickly as they are running to the pantry, knocking each other to the ground, they are excited. There are 2 comparatively popular cuts of lamb in the US: leg of lamb, and bone-in lamb chops or loin rack. So that’s what I expect most people to fall back on, and many do. Personally, I would sit back for a minute or two and watch what everyone else was grabbing, and then grab what NOBODY grabbed…like the lamb heads! (Lamb tongue carpaccio, anyone? How about braised lamb tongue tacos?) A cut becoming more popular in modern restaurants in the US now is lamb breast. Tony Scruggs smoked some lamb breasts for me last time I visited him, and they were divine! Lots of folks are using sweetbreads in their preparations. Another increasingly-popular organ meat, sweetbreads are the thymus gland…an organ that is involved in the immune system. While veal sweetbreads are far and away the most popular in US, lamb sweetbreads are stronger in flavor and delicious…IF prepared properly. If not, they are mushy and slimy and nearly inedible. The best way to prep sweetbreads involves pressing them for an extended period of time to remove excess moisture, which the contestants don’t have time to do. 45 minutes into the hour-long competition, they send Joe around to start taking aprons away from people who they can tell, just by watching, aren’t good enough. (Which is interesting because, in many past seasons, the judges have commented on how a cook can seem frantic, confused, and scattered during the cooking process, but triumph in the end. Noteworthy among these is the season 2 finale, when Jennier Behm‘s cooking station looked like a hurricane had blown through it and Gordon remarked at how worried he was that she seemed “all over the place,” but she triumphed over Adrien Nieto, whose tempered, methodical, calm, professional cooking methods were being fawned over by the judges.) This whole challenge is just a way to quickly ditch the contestants they don’t want in the core group, regardless of their skill. Once time is called, the contestants are divided into 3 groups. One group is mass-eliminated. (My friend Jenn was among that group.) No tasting. No real evaluation at all besides a random walk-by from the judges every now and then. They’ll try to convince you that the judges can tell, just by watching a contestant for a few seconds, whether or not they can cook. And that may hold some merit. But for a contestant struggling with a foreign protein, or who has just had an unexpected glitch…(their station mate is hogging the sink so they can’t get water, for example)…a momentary hiccup can be very deceiving about their overall skill level. One group is passed directly on to the finalist group, also without tasting or any real evaluation. The remaining 8 are forced to be “randomly” paired with another contestant, one of whom will be eliminated, and one of whom will pass on. Is this luck of the draw? Or have the judges carefully selected these 8 from the 30-odd apron holders, conspired about how to pair them up based on their dishes, and that’s how this transpired? This is an incredibly odd choice by the producers, and when they made it last year, I almost quit watching. It’s the single most transparent moment when we realize that the top contestants have ALREADY been picked, probably before the cooking even began, and they just need to get rid of the rest. At least with the knife skills challenge, there’s a facade of skill. But this…I hope they get rid of this next year. It just angers the audience that these contestants are thrown out with barely no consideration, and makes the show look really, really fake. I was expecting it this year because they did it last year, but it really left a bad taste in my mouth, and according to your comments last year and this year, you don’t like it either. There’s a simple solution, MasterChef: cast 30 rather than 100, and whoever gets an apron is a finalist. (Heck, film the REAL auditions so you can show the folks who cook with crickets and breast milk, and give us a few glimpses of that, like American Idol does. But there’s NO REASON to cast a HUNDRED people, and do so much destructive damage to people’s lives, and then don’t even show them on TV!) With only 30 hopefuls, the audience gets to see everyone, the contestants’ personal sacrifices are justified because they all get airtime, and the audience stops suspecting the show is faked because of these utterly bizarre, seemingly-arbitrary mass eliminations. VERY SIMPLE. Next pair is Jonny and Brian. Jonny’s got lamb rangoon (lamb in wonton wrappers), tzaziki coleslaw (mint, yogurt, cucumber sauce), red bell pepper garlic oil, and what sounded like juniper oil. Texas boy Brian has prepared southwest liver and onions with boysenberry sauce, and cactus salad. Brian immediately wants the judges to know that he believes his dish is better than Jonny’s, and you should just never do that on MasterChef. Being presumptuous will get you eliminated no matter how great your food is. (And it’s a great way to get Bastianich’s temper to flare!) Gordon tells Brian that the plating method for his boysenberry sauce looks like he slaughtered the lamb on the plate, and Brian responds that it’s the most beautiful dish he has ever plated in his entire life. Unsurprisingly, they send Brian home, and Jonny is through. Then we’ve got Nancy and Bri. Nancy has a lamb chop with roasted red pepper puree, artichokes, and cauliflower mint puree. Joe says, “There’s too much garlic.” For an Italian, this statement is almost scandalous. (For the record, there is no such thing as too much garlic. I rarely use LESS than an entire bulb of garlic in any sauce or dish, and I’ve never once heard that statement uttered.) Also, they say her puree is too grainy…always a challenge with cauliflower. You have to puree it with a stabilizer, like cream, and leave it in the food processor forever to get it smooth. Bri, a vegetarian, was in for a challenge, as she has never cooked with lamb before…and probably very rarely with other red meats that are similar. She has lamb 4 ways and is hoping that 1 of them will be good enough to get her through. The judges agree, and send Nancy home. I haven’t really talked about Bri yet, but I adore her. I was a theatre nerd, too. She’s my kinda people. Last but not least, we’ve got Luca and Beth. Luca has a roulade (meat that has been flattened, stuffed, rolled up, and roasted) of lamb loin stuffed with sweetbreads, with endive and goat cheese. Sounds incredible. But Gordon says it’s a dangerous choice (?!?) and they criticize him for NOT playing safe. (If he had made pasta, they’d have criticized him for playing safe. That’s just the way it goes on MasterChef. Early on, the judges criticized me for trying to make the same kind of “fancy bistro” food my competitors were making, rather than rely on my traditional and international “peasant cooking” roots. They told me to cook what I know. After the judges had seen me do a lot of baking in challenges, when I started baking a cornbread for the pork challenge, Gordon rolled his eyes and say, “Why are you baking again?” and I said, “Am I not supposed to play to my strengths now? Earlier, you told me to.”) Beth has what looks to be the most unique and stunning dish of any we saw: lamb loin roasted in hay (hay smoking or roasting gives a striking, sweet, grassy flavor to meat and is one of the single best ways of preparing lamb), buttermilk fried sweetbreads, apricot chutney, mint, and celeriac rutabaga puree. This dish really stunned me (maybe more than ANY dish I’ve seen on ANY MasterChef episode), and Beth seems like an extraordinary person. I most definitely want to meet her. So we’ve got top 19 this year! And next episode, these folks will enter the real MasterChef kitchen for the first time. I HOPE to get that blog posted before the episodes air tonight, so I’ll be all caught up. But as you can tell, I’m kinda verbose, and it takes me a bit to bang one of these out. See you soon!